Death Rally by Remedy Entertainment is available on Android. And good news ~ it is a free full version without ads. Of course, there are in-app purchases for cars and weapons. But you can get them free through TapJoy sponsored actions. Try it out. 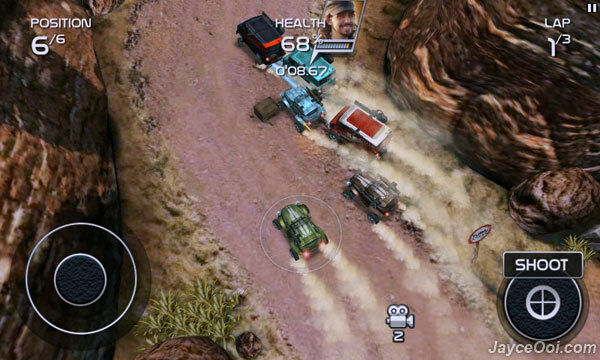 Death Rally looks great on Samsung Galaxy S II with Chainfire3D Pro 16X MSAA. Can’t find Death Rally at Android Market? Well, you can Google for Death Rally APK file to download. Or use Market Enabler and fake as Finland country to download Death Rally for free. Download Death Rally at Android Market here.